Grandmaster Doc-Fai Wong is the founder of the school and represents direct 2nd generation lineage to Yang Cheng Fu, the grandson of the founder of Yang style Tai Chi Chuan. In Choy-Li-Fut, he is a 5th generation Master, making him one of the highest ranking Choy-Li-Fut instructors today. 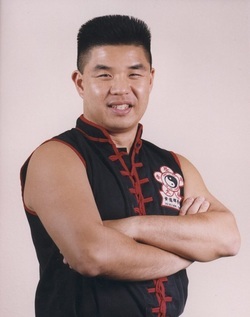 In 2003 Grandmaster Doc-Fai Wong was inducted into the Martial Arts History Museum’s Martial Arts Hall of Fame. national tournaments, he has won over 200 awards and nine Grand Championships. He is well known and respected across the country as one of the few versatile martial artists who can compete and win in Kung-Fu and Tai Chi forms, as well as sparring and push hands.